With the growing popularity of area rugs, many consumers have stayed with the traditional Oriental rug, while others want a varied and contemporary look that can be found with hand-tufted rugs. 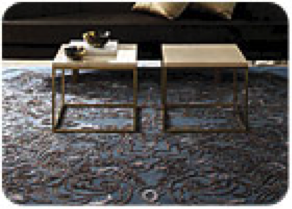 In July we discussed hand-tufted rugs from India and China, which are positioned toward lower price points. 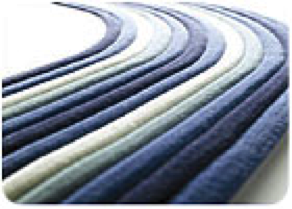 This time we are looking at the higher-quality segment of custom hand-tufted area rugs. Some of the best know names in this category are Edward Fields, V’Soske, Scott Group, Hokanson, Carousel Mills, and Tai Ping. These rugs are made with wool or wool/silk face yarns and have served as floor coverings in such prestigious places as the White House. The face yarns are hand-tufted into a cotton primary backing using a pneumatic tufting gun. 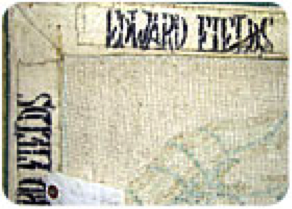 The rug is then removed from the frame that holds the backing material in place. A coating of latex is applied, and an open-weave scrim material is added to the wet latex to help provide dimensional stability. The materials and workmanship used are of good quality, and new rugs can be expensive. Some custom made designer rugs can go for $200 per square foot and up. Having the ability to identify this type of rug is very important. You’ll want to know the key manufacturers’ names, any cleaning concerns that may be encountered, all the while realizing these rugs can be expensive to replace if something goes wrong. Hokanson is a Houston-based source for high-end, hand-tufted rugs found in showrooms around the country, with production facilities in Canada and Thailand. Hokanson specializes in ornate traditional patterns and contemporary designs using wool, silk, linen, rayon and sisal. They now offer flat weave and machine-woven goods. Tai Ping is based in Thailand. One of the largest manufacturers of hand-tufted rugs, the company is credited with inventing the pneumatic tufting gun. They will also combine different fibers, like wool and silk, and tend to produce quality goods for the high end of the market. One of the key cleaning considerations to look for (if applicable) is that the secondary backing can delaminate over time from latex degradation and repeated exposure to water or animal urine (Image V). All latex contains filler, like gravel in a concrete mixture, to reduce cost. 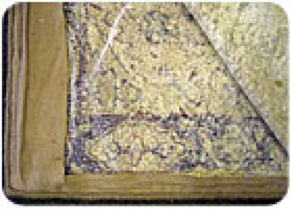 The filler – often marble dust – will take up space but has no adhesive properties. Too much filler will cause a breakdown of the latex and separation of the backing from the rug. You may notice this when you pick up a rug and see “sand” on the floor, or else loose above the secondary backing. Also, as the latex oxidizes, the back can change from pliable (when new) to very stiff (when old). This oxidation causes cracks to appear in the back. New or old, these rugs should never be folded, as this can cause permanent creases. Be aware the hems on the back of the rug can come unglued or unsewn over time – a potential repair for the rug specialist. This reinforces the importance of always inspecting the back of the rug before cleaning. Over time, urine or excessive moisture can cause the secondary scrim material (if the rug has it) to become rotten and delaminate from the primary backing. And if the rug has light-colored wool face yarns, these will oxidize or yellow over time. Be certain you list all these problems on your pre-cleaning inspection report and discuss them with your customer before cleaning begins. When it comes to the actual cleaning, clean it as you would an Oriental rug; cool water is always the safest. Use WoolSafe-approved products that have been tested as safe to use on wool. Dry these rugs flat with air movers; hanging the rugs will leave a ridge. If you are using an immersion cleaning system, be aware that thick rugs will become heavy and difficult to handle. Soaking rugs for urine removal will often result in delamination. And if you are cleaning these rugs with an in-plant compression/roller wringer machine, use care as thick rugs can break the chain drive of the machine unless the pressure has been significantly reduced. Designer hand-tufted rugs offer a great opportunity for you to exhibit your expertise and receive good compensation for that knowledge. As you can see, quality can vary greatly. But no matter the quality, always keep in mind the many items to look for during the pre-cleaning inspection, which should be carefully documented and discussed with the customer before you accept the job.